Travel to Kingston Jamaica, the best town for bar hopping and clubbing, to retracing the steps of Blackbeard and Sir Henry Morgan at the ruined former pirate stronghold, Port Royal. Visit an internationally acclaimed art gallery, take in a play, stage show, folk concert and modern dance at the Little Theater. Attend a sport event, sit under palms and view beautiful gardens and relax at a beach where fried fish has been elevated to the status of haute cuisine. The magnificent Blue Mountains is to the north of Kingston and to the south is a huge natural harbor with a mixture of wealth and poverty, but oh so exciting and much more interesting than any of the resort areas. There is so much to do here on your travel to Kingston Jamaica. You have the arts, great recording studios, Devon House that holds a lot of Jamaica's history, glitz malls, a plethora of theaters and galleries, dance scenes, a city that is full of life, noise in some areas, quiet elegance in other areas and lots of activities. Kingston is where you'll find Jamaica's Government Administrative Center, with 25% of Jamaica's total population living here, it is also the home of these internationally acclaimed reggae artist like, Bob Marley, Buju Banton, Beenie Man and other reggae artist. 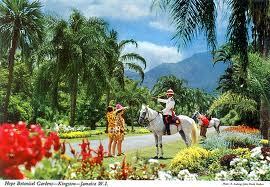 So lets start your day of travel to Kingston Jamaica. Royal Botanical Gardens, Hope Gardens, as it is known locally, was even visited by Queen Elizabeth II. This is where you'll find beautiful manicure huge lawns with bougainvillea walk-ways, an enormous collection of palms, unusual trees, exotic flowers, a Lilly pond and a zoo for a full day of activity. The Garden is opened daily from 6:00 am to 7:00 pm. In Kingston, Jamaica you'll find many bars, discos and nightclubs to get your groove on any night of the week. You can chose from blue and jazz, to dancehall or reggae to Latin music where you can enjoy salsa and merengue. An unforgettable cultural experience is the free outdoor sound-system party held on Wednesday nights is the Weddy Weddy dancehall sound-system party at Burlington Ave. It is a combination of a block party, dance club, unbelievable fashion show and an all out music fiesta. This usually starts around midnight. Bars are a favorite spot to unwind, be part of a good conversation, enjoy some good music, poetry, and even an art gallery night with well chosen local and international talents being portrayed, comedians jam, along with some great tasting food. Some well-known bars are Red Bones Blues Cafe, Priscilla and Backyaard just to name a few. Asylum is a happening place in New Kingston where the inimitable DJ Stone Love operates his legendary sound system on Thursday nights. Then there is the Quad which is a four club complex, each with their very own distinct personality. This is fun and very convenient. You just walk up or down to your preferred place. On the main floor of the Quad you'll find Christopher's Jazz Club, in the basement you'll fine Taboo club - a gentlemen's club with exotic dancers; and on the top floor is the Voodoo Lounge for the more mature crowd. Then the Oxygen Club which is for the twenty-something crowd. The Little Theater is the home to our National Dance Theater group located on Tom Redcam Drive. There are always plays, folk concerts and modern dance performances throughout the year. When you are planning to travel to Kingston Jamaica check the Little Theatre website for listing of current programs. When I was a child my parents used to take me, my sisters and brothers to see the Pantomime with Louise Bennett, Ranny Williams and later with Oliver Samuels joining the cast yearly in December at the Ward Theater. Now the Little Theater is home to the Pantomime... a play that should not be missed. If your taste is for a night out with comedians and dramas then Pantry Playhouse is the place to go for comedies and dramas. Sabina Park is a thirty thousand seating arena which host our national sport past-time and that is world class cricket. In cricket test matches both teams wear white uniforms, while on the one-day internationals they wear a colored strip. The ultimate cricket test matches is when the West Indies team, drawn from all the islands and Guyana, plays against the national teams of Australia, England, new Zealand, Pakistan, India, Zimbabwe, South African, Sri Lanka and Bangladesh. 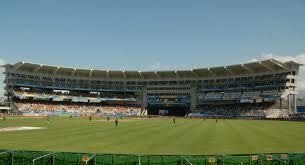 Get the schedule of test matches, and you can then enjoy a day or more of cricket on your travel to Kingston Jamaica. On your travel to Kingston Jamaica at this art gallery you'll find Jamaican art of international and local artistic heritage collection of art chronologically spanning the years 1922 to the present time. From December to April the annual National Exhibition of Jamaican art is held. Apart from the National Gallery you'll find intimate and unique art galleries like the Chelsea Galleries, Gallery Pegasus, Wassi Art Pottery, the Bolivar Art Gallery and Artisan, and so much more. 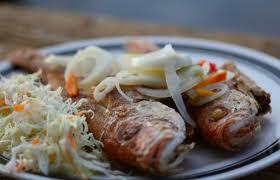 Port Royal was once the stronghold of pirates, today it is more a fishing town with historical buildings. 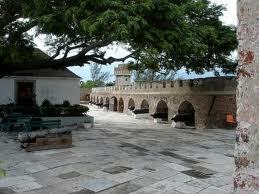 In 1682 Port Royal was a thriving town with fortresses all around. Blackbeard and Sir Henry Morgan, buccaneers of their time, once lived here, and it was their stronghold. And, because of them the town attracted merchants, rum traders, and others who formed alliances with the pirates and was given a share of their profits. It was known as the "Wickedest City" in the world. Then in 1692 an earthquake shook Port Royal and it was destroyed. A portion of the town disappeared underwater where it has remained. Sections of the town was repaired and was occupied by the Royal Navy, but in 1815 after a fire again destroyed the town, the ports, armories were left in dis-repair. You can visit Port Royal and participate in a walking tour hosted by Morgan's Harbor Hotel. There is so much more to travel to Kingston Jamaica, like Lime Cay as one of the half dozen uninhabited, sand rimmed coral cays island that is perfect for picnics, sunbathing and snorkeling. As you can see you must include a visit to Kingston as part of your vacation itinerary. This beautiful beach is in Portmore where you'll find white sand beaches with the Hellshire Hills forming the background. Add to this play ground, gaily painted huts and stalls selling beer, lobster, fried fish, and festival - a fried cornmeal batter. On the weekend it is a party affair where reggae music is played. So you see there is something for everyone here to enjoy any day or night of the week. 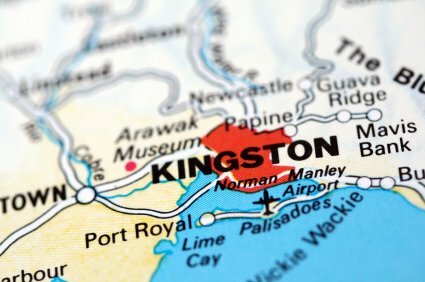 Kingston has had some social strife and has the reputation of being dangerous. But, you can visit the city and enjoy its sights and sounds in reasonable safety as long as you use your normal commonsense guideline. Always check with your hotel concierge or manager for guidance and stick to the main streets. Also as a bonus, in Kingston you are not hassled by hustlers anywhere near the degree in the resort areas. So travel to Kingston Jamaica and enjoy our culture.